Part of my job over the past 10+ years in the ebook industry has been the creation of ebooks. Over the years the popular formats have changed and the software used to create ebooks has changed, but there are some concepts about text manipulation that have remained constant. Whether you’re creating ebooks for ePub, PDF, iBooks, tablets, smartphones, or Kindle, there are common mistakes that can be avoided. The information I’m presenting here is based on my own experience, so your mileage may vary. Microsoft Word is a good program and it’s fine to type your book in it, but Microsoft Word documents don’t convert well into other text formats, like HTML. A lot of ebook creation programs let you import HTML files, which are excellent to use because you can customize the textas much as you want, but the “HTML” that Microsoft Word creates is not really HTML. If you simply take your Word document and “Save As” HTML, you get Microsoft Word’s abomination of HTML, and it doesn’t behave in the same way as real HTML. It’s got a ton of extra junk code in it that isn’t very readable by other programs and you’ll probably end up with a bunch of weird formatting issues. Instead of using Microsoft Word to create your HTML, make it yourself with a different application. The first step is to save the document as a plain .txt file. Yes, this will strip out all of your formatting, but it will also strip out all of the nonsense code that Microsoft Word creates. I recommend a program like AscToHTM for converting text to HTML, but you can use any other similar program that you like. Make sure you save a copy of your original Word document before you start messing with it. If you’re new to creating ebooks, or if you’re new to text manipulation, or if you’re just new to the particular application that you’re using, do some testing first. For example, copy one chapter of your ebook and make an ebook out of that. This way you can learn how the software behaves without going through all of the work of converting your entire book into ebook format and having to go back and fix mistakes throughout the entire text. You can experiment with things like headings, images, margins, etc, and find out what looks best. Test your ebook on as many different types of devices as possible. If you only look at the ebook on your computer screen, you won’t know what it will look like on an eReader, an iPhone, an Android tablet, or whatever else people might read your ebook on. I understand that you might not own all of these devices, but see if you can borrow one from a friend and at least test the ebook on your own phone. Does your ebook have giant, complicated graphs and charts? Those might not be readable on the small screen of a phone and it will be very important to test it. Images can safely be about 600×400 pixels but even at that size the text will need to be relatively large in order to be readable. If your huge graph has 10pt text that’s imperative for the reader, they’re just not going to be able to read it on small screens. eReaders like the Kindle, Sony Reader, or Kobo eReader don’t have access to very many fonts. You’ll do best by sticking to the most default font type available. I recommend that you not specify a font at all. That way the eReader can display your text as naturally as possible, and if the ebook reading app does allow the user to change font sizes, they can do that without your book trying to force a font on them. Footnotes have become a big problem in ebook creation and the reason is, once again, different screen sizes. You have to make an ebook that can display correctly on a computer screen, an eReader, a tablet, and a smartphone, and all of these devices have very different screen sizes. They won’t show the same amount of pages, the same page numbers, or the same amount of text on the screen. This means that you can’t define the bottom of a page for your footnotes because each screen will have a different “bottom” of the page. You could consider moving all of your footnotes to the end of the chapter, and linking to them from the text with hyperlinks. When authors see their book in a different format (say, PDF instead of Microsoft Word) suddenly a lot of typos jump out at them that they didn’t see before. Once you’ve converted your book into .txt, HTML, or an ebook format, you should scan through the entire text to look for errors or typos. You should also scan through the entire text to look for problems that might have been created during the conversion from format to format. You can use this as an opportunity to make sure everything you want to be italic is italic, everything you want to be indented is indented, etc. All of this might sound like a lot more work that you anticipated, but if you put in the time and effort you’ll end up with a quality ebook, and that’s worth it. Before you can install an app that’s not available in the Kindle App Store, you have to change one setting in the Kindle Fire. In the top Kindle Fire menu, select the Gear (settings) icon. On the next screen, tap the More Icon. On the next screen, tap Device. Then choose ON for “Allow Installation of Applications”. Now you’re ready to download and install Aldiko on your Kindle Fire. Download that file to your Kindle Fire. When that file is finished downloading, a notifications button will appear in the top menu. Tap on that then select the downloaded Aldiko package. On the next screen, tap the Install button. You should now have Aldiko installed on your Kindle Fire and it should behave like it does on any Android device. If you’ve tried this, I’d be interested to hear how it went! 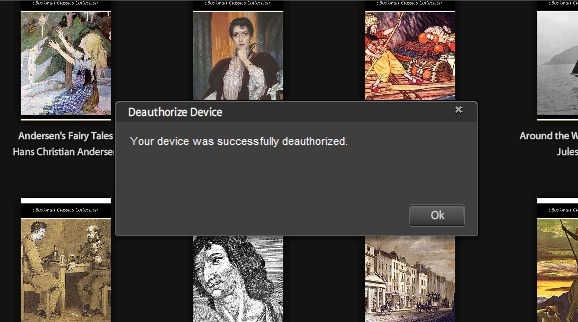 In this post I’ll be giving you step-by-step instructions on how to de-authorize your eReader in Adobe Digital Editions. You might want to do this if you want to change the Adobe ID that you have associated with your device. Note: This will only work if your device has been authorized with an Adobe ID in the past. If you never did that, these instructions simply won’t do anything. 1. Start with your eReader turned off and disconnected from the computer. Also start with Adobe Digital Editions closed. This will help prevent any issues with ADE recognizing the device. 2. 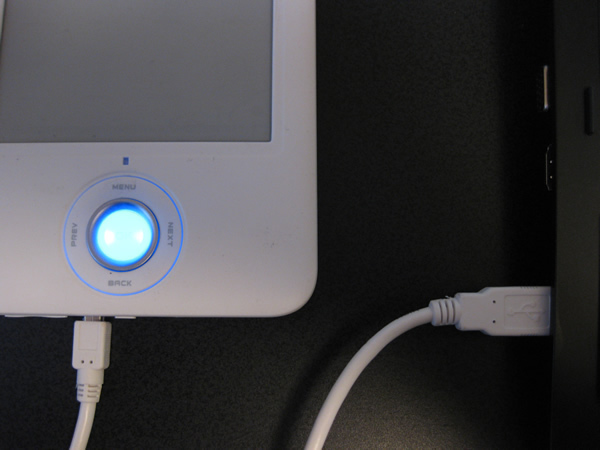 Connect your eReader to your computer with its USB cable. 3. Turn on the eReader. 4. 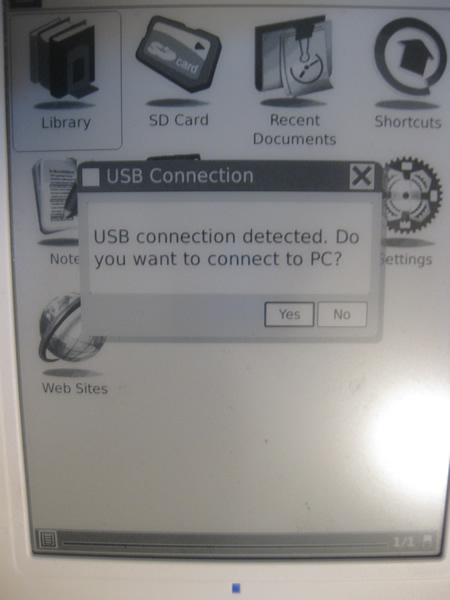 When my BeBook Neo detects that it is plugged into the computer, it asks me if I want to connect to the computer. Tapping ‘NO’ would just allow it to charge. Tapping ‘YES’ lets you transfer files to its memory and perform other functions related to the computer, so tap YES. 5. Open Adobe Digital Editions on your computer. 7. Click the ‘Deauthorize’ button. A lot of people are interested in getting ebooks from their local libraries. That is clear just by reading the comments on this website, as well as from the big news that the Kindle now supports library ebooks. Obviously you will need to check with your own local library, but as far as I know most of them use the same system provided by Overdrive, so the process at your library will probably be very similar. This was already possible on e-readers like the Sony Reader, but it was a feature that the Kindle lacked until very recently. There is more information in this blog post from ZDNet.